Win a trip to the wild beach town paradise of Tofino, B.C. When we think summer getaway, there’s no shortage of spots we’d like to go, from rainforests and inlets to seaside cabins and surfing-friendly beaches. It’s only natural that we’d find the perfect place to do all of the above, and more: The laid-back coastal town of Tofino. 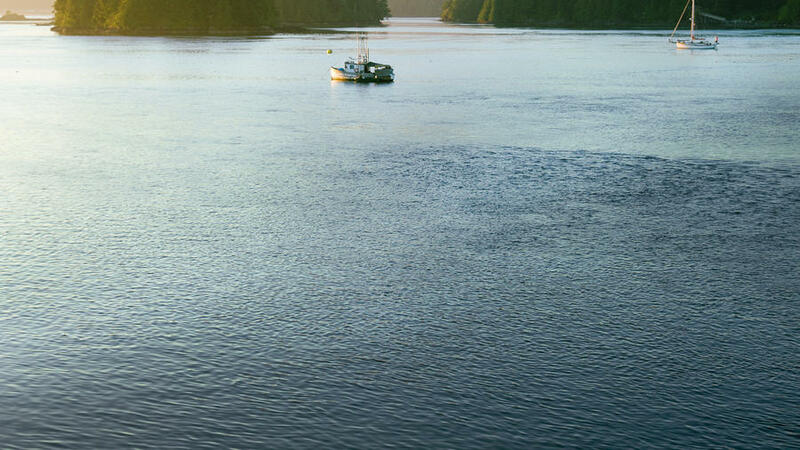 Located on a peninsula of Vancouver Island, it’s the laid-back summer vacation personified. To enter, comment on our Instagram post with a note about why you and a friend deserve to win a trip to Tofino, then tag @TourismTofino, @helloBC and your favorite fellow traveler. The Instagrammer with our favorite comment will win the prize package, worth over $2,000! Read the full contest rules below, and then get over to Instagram and enter! The contest ends at midnight on July 10. 1. HOW TO ENTER: This contest begins 12:01 A.M. PT on June 11, 2016 and ends 11:59 P.M. PT on July 10, 2016. To enter online, go to sunset.com/tofinocontest and follow instructions to participate on Instagram. Entrants must comment on the specified Instagram post with why they and a friend deserve to win a trip to Tofino. The comment must also tag a friend, @TourismTofino, and @helloBC. Entries by postal mail will not be accepted. Limit one entry per person. Sponsor is not responsible for lost, late, illegible, incomplete, or entries not received for any reason. Entries become sole property of Sponsor and none will be acknowledged or returned. By entering, Entrant warrants that his or her entry (1) is original and does not infringe the intellectual property rights of any third party, (2) has not been published in any medium or (3) has not won an award. Instagram is neither a cohost or a sponsor of this promotion. 2. JUDGING: All entries will be judged by Sunset editors based on the following criteria: Appropriateness to Contest Theme (25%); and Creativity of written description (75%). In the event of a tie, an additional “tie-breaker” judge will determine the Winner from among all such tied entries using the judging criteria above. Incomplete and/or inaccurate entries and entries not complying with all rules are subject to disqualification. Decisions of judges are final and binding. Winner will be notified by direct message on Instagram by July 22, 2016. 3. ELIGIBILITY: Open to legal residents of the 50 United States and the District of Columbia, who are 19 years or older at the time of entry, and to Canadian residents with the exception of Quebec: Should a resident of Canada be selected as a potential winner of the “Tofino Getaway for Two” contest, he or she will be required to answer a mathematics testing question correctly, at the discretion of the Sponsor. Void where prohibited by law. Employees of Sponsor and its promotional partners and their respective parents, affiliates and subsidiaries, participating advertising and promotion agencies (and members of their immediate family and/or those living in the same of household of each such employee) are not eligible. • Welcome gift back of Made in Tofino items (approximate retail value: $50 CAD or $38 USD)Prize package is valid October 1, 2016 through May 15, 2017 and is subject to accommodation availability. Winner and guest are responsible for possessing or obtaining all required travel documents. Advance reservations required. All venues, activities, and events subject to the discretion of the Sponsor. Excludes Canadian and U.S. statutory holiday periods, including Family Day Weekend (February 18-20, 2017), Valentine’s Day week (February 12-18, 2017), and published participant closure dates if any. Meals do not include alcohol. Total approximate retail value of prize package is $2668 CAD ($2035 USD). All other expenses not specified herein (i.e. tips and gratuities, etc.) are the responsibility of the Winner. ALL TAXES ARE THE SOLE RESPONSIBILITY OF THE WINNER. The prize is awarded without warranty, express or implied, of any kind.